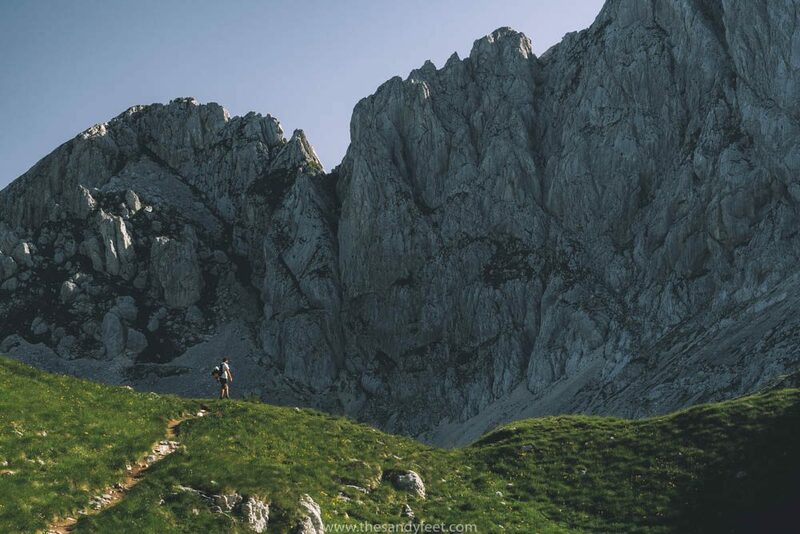 Bobotov Kuk is the highest peak in Montenegro’s Durmitor National Park and once you emerge atop the craggy rocks, dripping with sweat and gasping for air, it feels like you’ve reached the top of the world – Bosnia to your left, Albania in the distance to your right and the whole of Montenegro laid out before you. 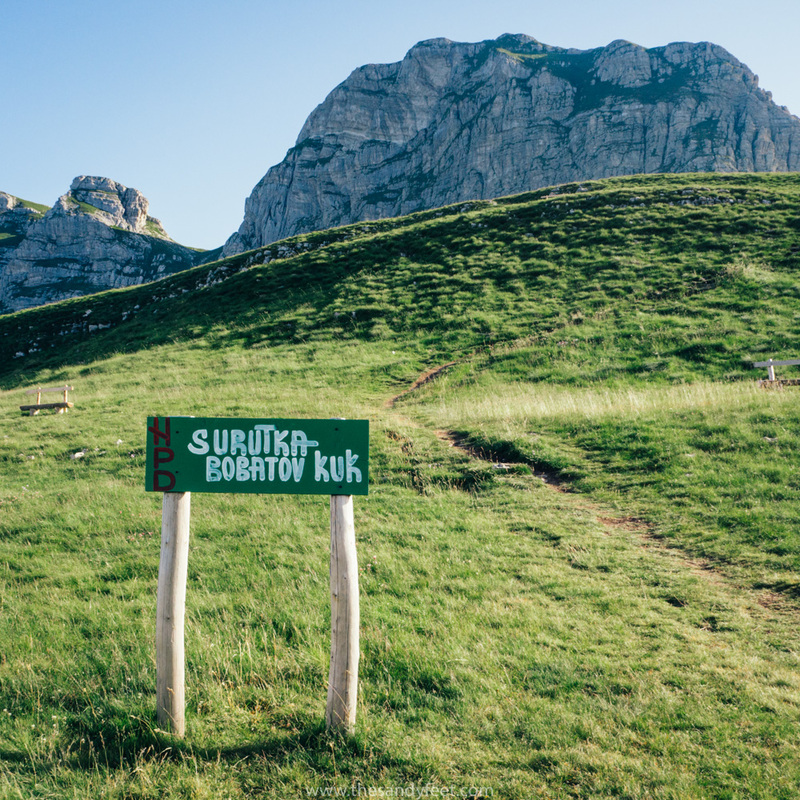 Durmitor National Park is simply full of great hikes, but climbing Bobotov Kuk is the ultimate one and certainly one of the best hikes in Montenegro. Bobotov Kuk, a dramatic crest carved of white rock, sits at a lofty 2,523 m surrounded by lush green hills to the south and expanses of loose scree and rock to the north. The top is marked by a little metal box housing a guestbook where you can add your message alongside others that have completed this challenging hike. Rest your shaking legs in the cool breeze and wait for your face to make the slow return from beetroot red to some semblance of a normal colour. In winter this peak is shrouded in a blanket of white, so don’t even think about attempting the hike. There are two main routes to reach the summit of Bobotov Kuk – the short one and the really, really long one – or, like us, you can mix and match the two. Both routes meet at the saddle for the final ascent and are signposted for the whole route. 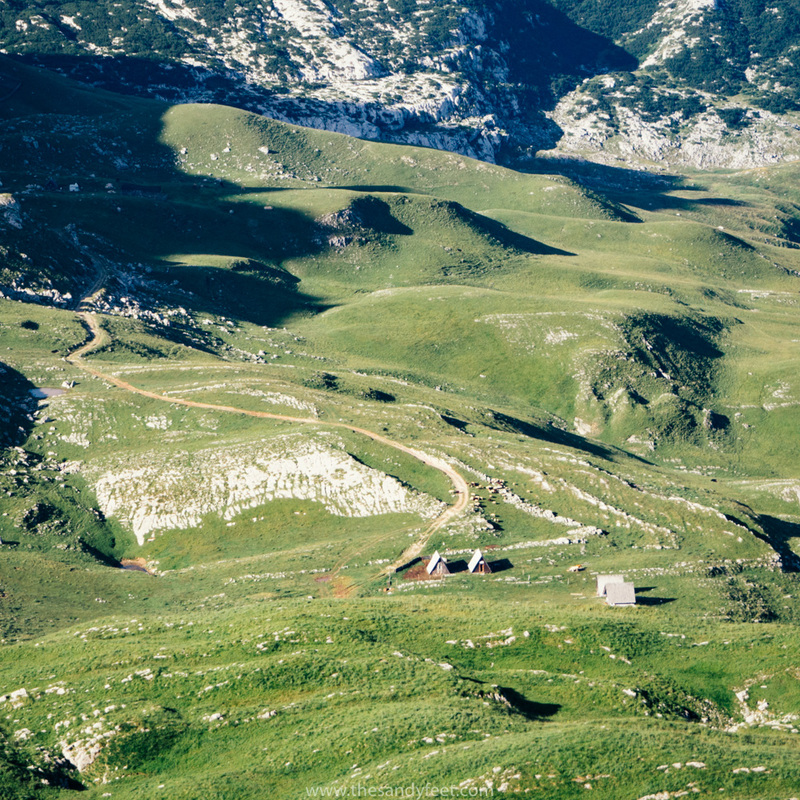 The short route, which is somehow also the less popular route, begins and ends in Sedlo, 14 km outside of Žabljak. This trail takes you through lush grasslands and alongside lakes before you reach the final gruelling climb to the saddle. The top can comfortably be reached in 3 hours before returning via the same way. The final stretch is an hour or so of solid and steep uphill, although the path is dirt and grass which makes for an easier climb than the longer route. There is ample parking at Sedlo and a little desk is set up in the morning where you will need to pay the park entry fee of €3 per person. 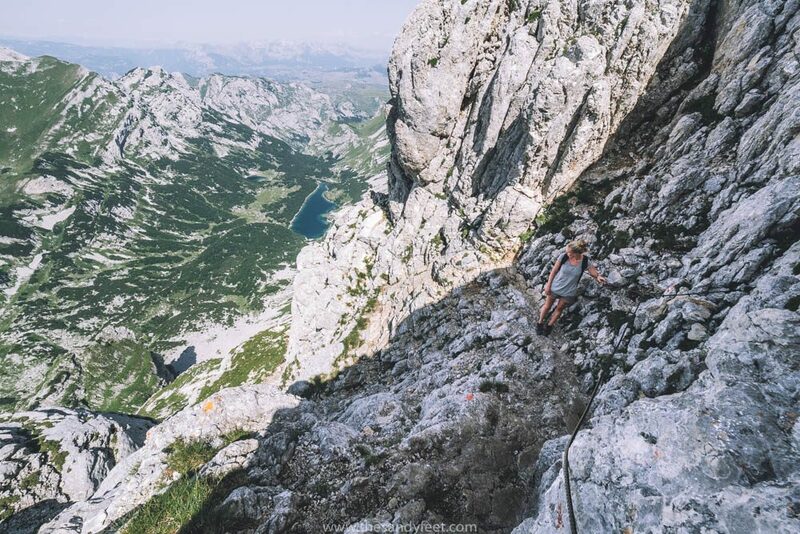 The long route begins and ends in Žabljak and offers a far more challenging hike to reach Bobotov Kuk. Not only is it around double the walking time, the terrain is much more difficult to manage. Starting in Žabljak, follow the main trail out of town toward the Black Lake where you will need to pay the park entry fee of €3 per person. At the lake there is a large board listing all the hikes in the area. Follow the path to the right alongside the lake from where you will be directed across a small stream and into the forest. The route passes through many different types of terrain, but by far the most challenging is the steep sections of open scree which popped up a few more times than we would have liked and can make you feel a little more newborn donkey on ice rather than human that should really have this walking thing down by now. Somewhere in the middle of the hike there is a long stretch of the loose rock and, just as a final test of endurance, the last stretch to the saddle which seems to just keep going and going, is of the rocky variety as well. 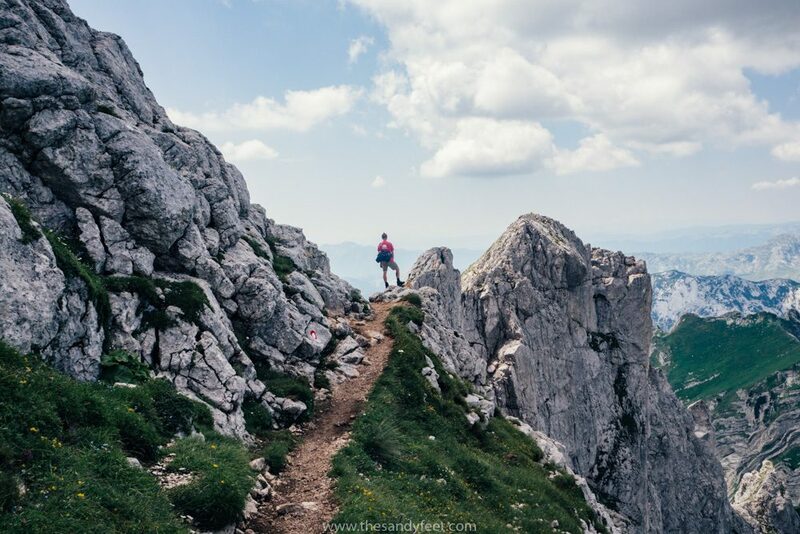 The return hike takes around 10 hours with an ascent of over 1,000 m and, aside from the final steep leg to the saddle, there are plenty of hills to tackle to tackle along the way. We suggest a reasonable level of fitness to tackle this route. 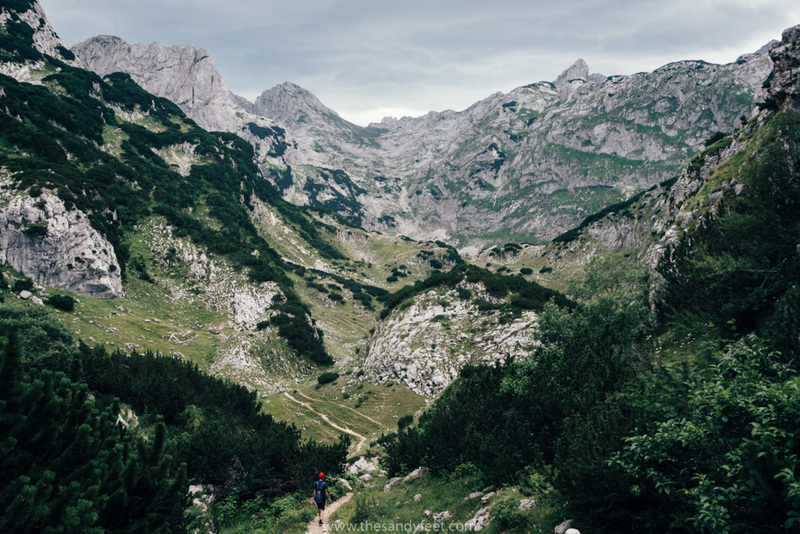 Instead of going back and forth along the same trail way we decided to do it a little differently by starting in Sedlo and ending in Žabljak. 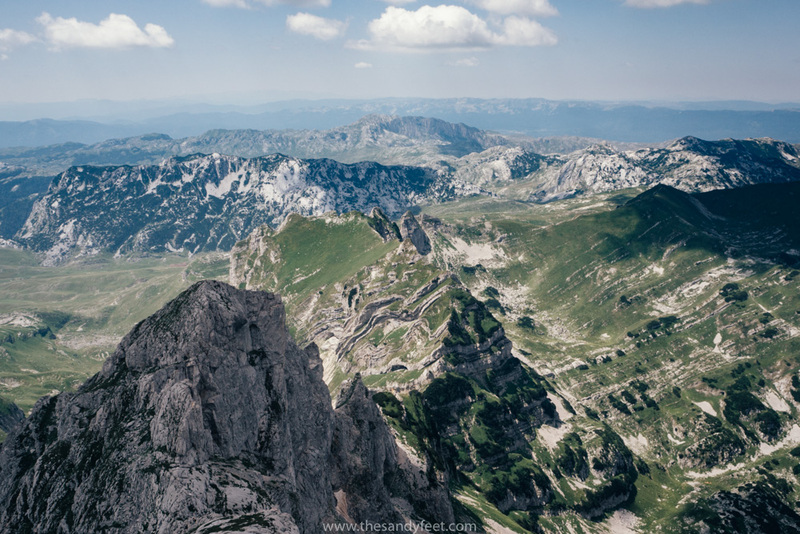 This really gives you the best elements of both trails and allows you to see far more of Durmitor National Park. 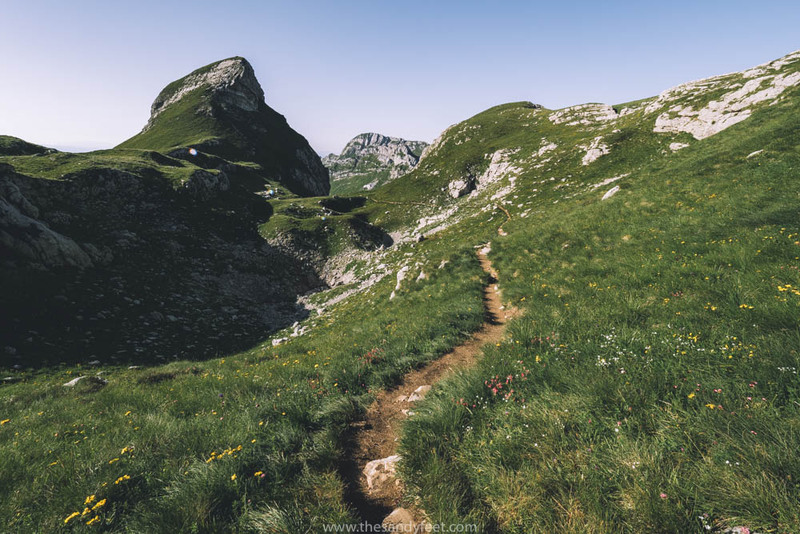 You get the shorter ascent along much easier terrain which takes in the beautiful green pastures of the southern side of the peak, plus you shave hours off your walking time and only have to tackle the daunting open scree in the one direction. Honestly, the way back down to Žabljak did drag on a little and the longer we walked we counted ourselves lucky we didn’t choose to take that route there and back. Having been in such high spirits when we reached the top after just a few hours, the way down just felt so much longer with much harder terrain. Of course the scenery was beautiful, but we were glad we had seen something different on the Sedlo side as well. To start the trail we took a taxi from Žabljak to Sedlo which cost €15 shared between 4 people. 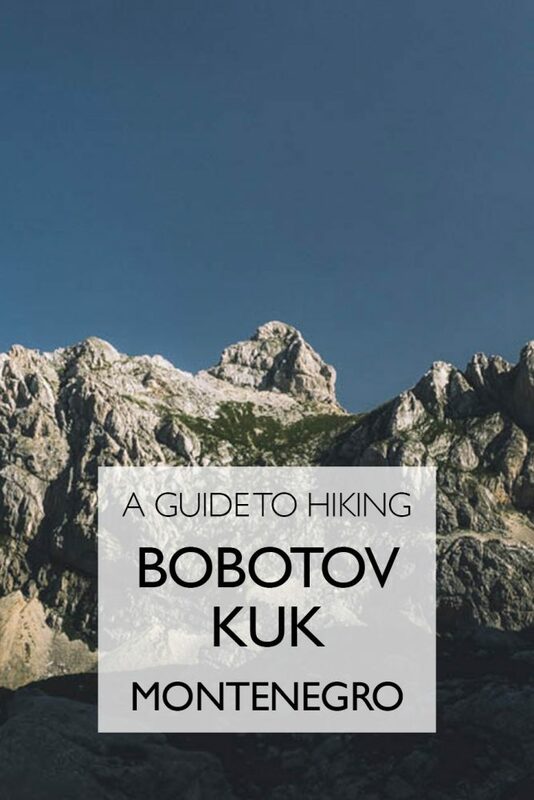 If you have read even a little about climbing Bobotov Kuk your eyes have more than likely passed over a horror story or two about the final section of the climb. These comments alone nearly deterred us from doing the walk entirely. As Freya gets weak at the knees just from looking out a window a few stories too high, the thought of scaling unstable rock on the side of a seriously high cliff wasn’t something she really wanted to sign up for. But was it really that bad? Honestly, no. Ok, so yes, the path does come dangerously close to the edge of the cliff, and perhaps if Freya had spent more than a few seconds staring all that way down she probably would have been just a little jelly-legged. And sure, you do have to scramble across some sections of open rock which can be a little sketchy at times. But we never felt seriously unsafe. We hopped up to the rocky top without giving it a second thought. If you take your time and approach this section with care, this final climb shouldn’t be a problem. The rocks are solid and there are plenty of cracks and holes where you can grasp on firmly. Some areas also have safety ropes, although we felt these were actually more of a hinderance to getting up the rock face. If you do have a serious fear of heights this part may be a little too much for you to take, but if you do reach the top, sweaty, caked in dust and probably with a strong dose of adrenaline coursing through your veins, it really is worth it. 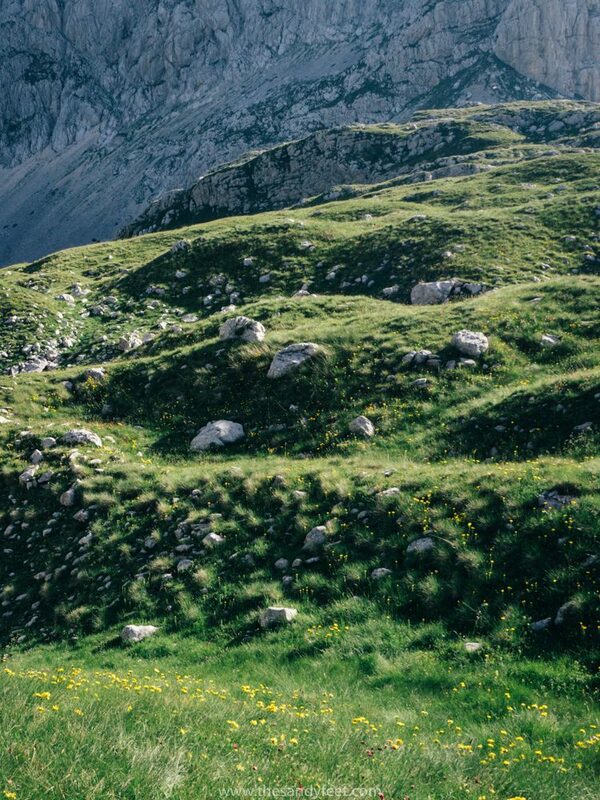 There is a mountain hut toward the beginning of the walk where you can refill your water bottle in a nearby spring, or if you’re in the mood, have a beer on your way down. Be Prepared – Particularly for the long route, the hike is as much about endurance as anything else. Take plenty of food and water as there is only one spot to fill up on the way, at a small hut close to Žabljak. Watch the Weather – Things change incredibly fast in these parts and ferocious storms are not uncommon. A day might begin with beautiful blue skies and sunshine, but by mid-afternoon there could golfball-sized hail stones rapping on the door and gail force winds blasting through town. Check the weather forecast and don’t attempt the hike if bad weather is expected. 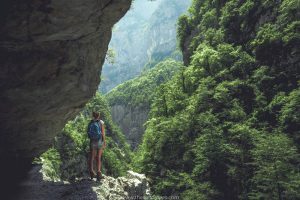 Wear Solid Footwear – They don’t have to be state-of-the-art hiking boots, a good pair of sneakers will do just fine, but they should have good grip to tackle the stretches of open rock and scree. Start Early – On our descent, about an hour out from Žabljak, we met a group at 2 PM, walking at a snail’s pace, who were hoping to make it to the top. Unless they were about to break into a walk with a little more vigour, they would be climbing across the dangerously high rock face in the pitch dark. 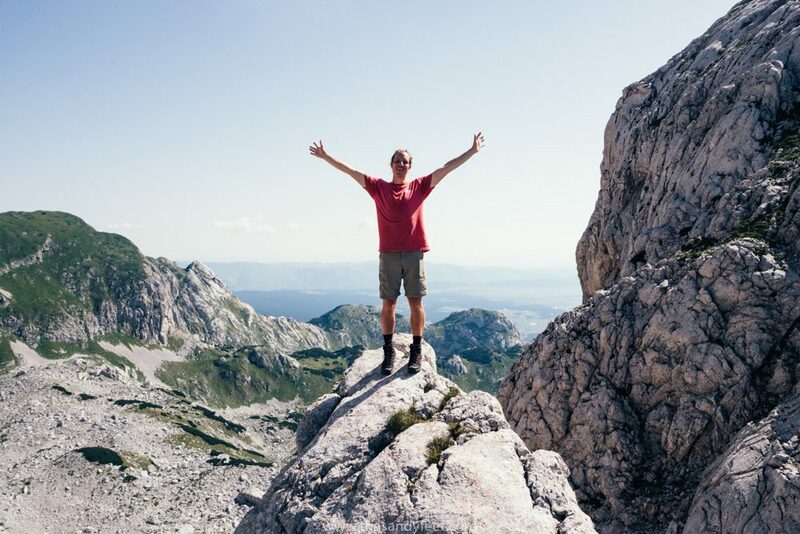 If you are doing either route ending in Žabljak, leave early enough to complete the walk in at least 10 hours. For budget travellers, look no further than Hostel Hikers Den. 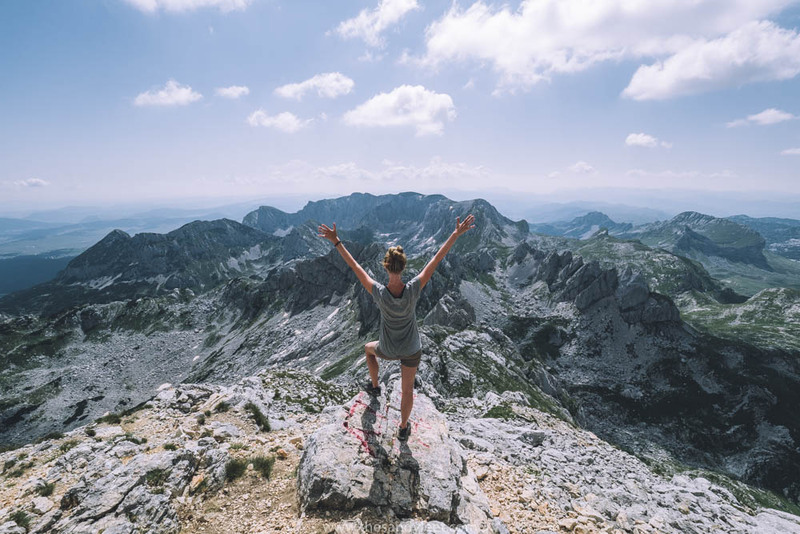 Located right in the heart of town, this homely hostel has both dormitory and private rooms available, a communal guest kitchen and a very knowledgeable owner who will gladly help you organise any activities during your stay in Durmitor National Park. 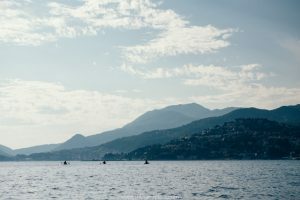 It also consistently takes home the prize for best hostel in Montenegro. Check here for rates and availability. Guesthouse Andjelich is another decent option and is located right near the bus stop. All rooms are private and self-catering facilities are available. Check here for rates and availability. 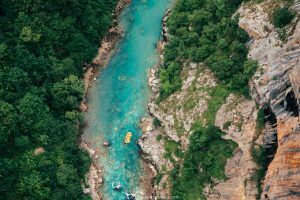 As Montenegro’s primary ski resort, you’ll find a number of other beautiful mountain chalets sprinkled around Žabljak and within Durmitor National Park. 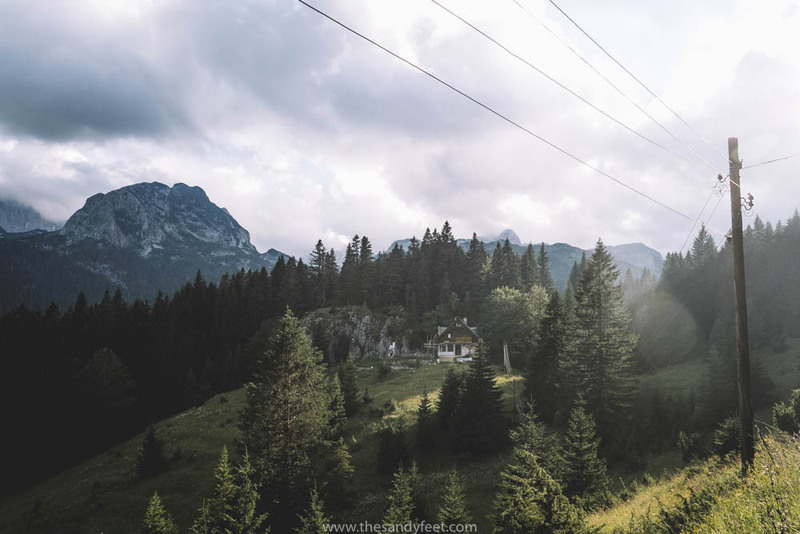 If you have your own car and don’t need to rely on transport to get you to the start of the hike or the shops, you might prefer staying in one of these properties instead. 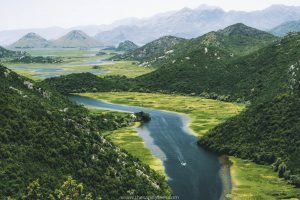 Search here for available accommodations around Žabljak. 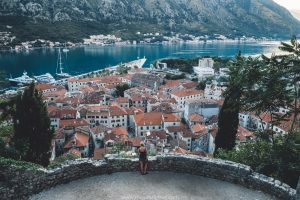 Heading to Montenegro? Let us help you plan your adventure. 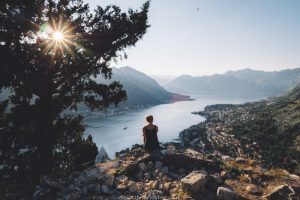 I’m heading to Montenegro next May and want do this hike. I’m planning on doing the mixed trail that you did (start in Sedlo and end in Zabljak), but I was wondering if the trail passes Black Lake on the way to Zabljak? Awesome! It’s a really beautiful hike, and yes, the trail ends at the Black Lake. From there you’ll meet the road and it’s about 2 km or so back to Zabljak town. 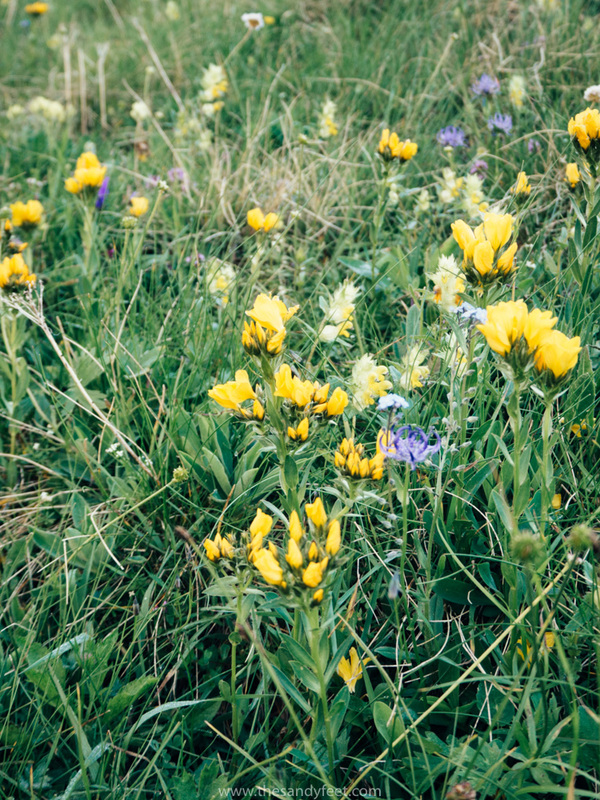 Hello, really nice post, me and my girlfriend are heading to Dumitor next week and have not found much online about the hikes! Are all the trails well marked out and is there somewhere in town to pick up a little map?? Hey Dom, at the Black Lake there is a large board with the directions of many hikes in the area. The trails themselves were often quite clear, but we found the markings, particularly at intersections, were not always that obvious. You can pick up a hiking map from the very tiny visitors’ office in town – near the main intersection – but we found an app to be more useful. Maps.me has many of the trails marked and is free to download. 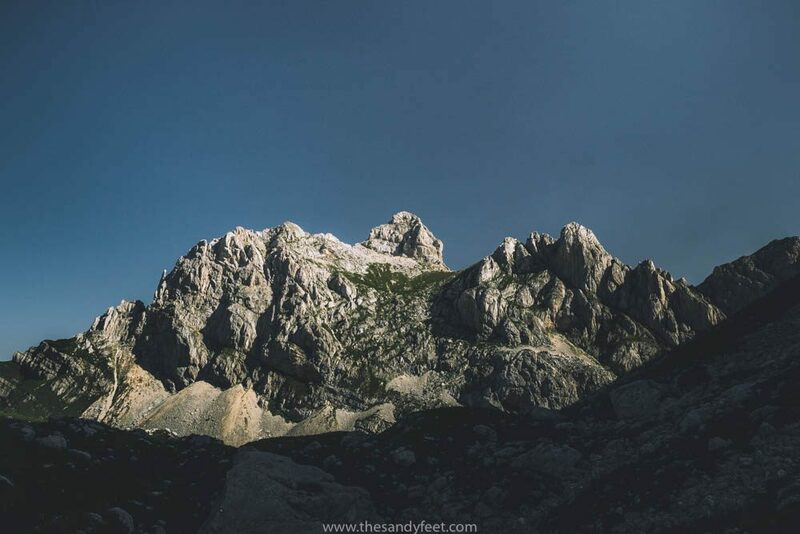 How many hours did the Sedlo to Zabljak hike take you? Going to try it in few days. Thanks! What an adventurous little pup! I think the only part that could possibly be a little dangerous is the very last stretch to the summit. There are some rocks you need to scramble across with sheer drops to one side. Some humans find this part quite nerve-wracking so I’m not sure how a dog would fair. But worst-case scenario, you could go as far as you felt comfortable and then turn back, or go one at a time to the summit. It’s really only the last part so you’d still get to enjoy the rest of the hike. As for direction, it’s probably easier the same way we did it as all the uphill is right at the beginning, but once you reach the saddle or summit, it’s virtually all downhill. It’s a long way though so depending on how far your dog likes to walk, the shorter ‘Sedlo to Sedlo’ route could also be an option, though you’ll need to arrange transport back. We did the hike in late July and there was still some patches of snow, but I think by late June, most of the track should be clear.